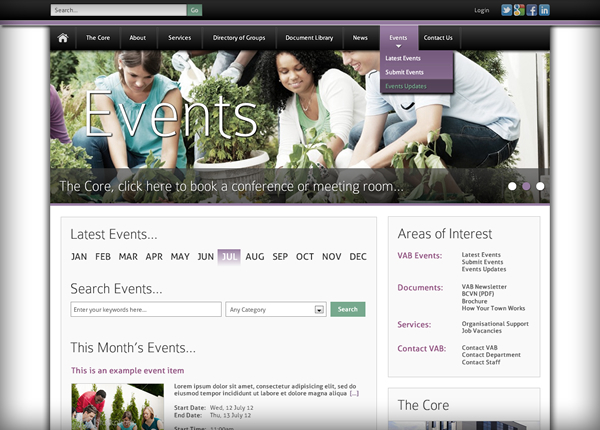 Website Design & Development, Content Management System, Search Engine Optimisation, Website Hosting & Maintenance, Email Management. 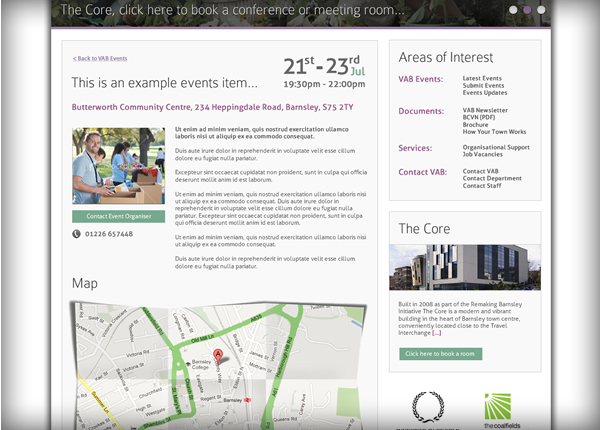 Following a detailed brief about how the website must function to fulfil the digital inclusion for volunteering requirements we also needed to incorporate the core booking area into their new content management system. 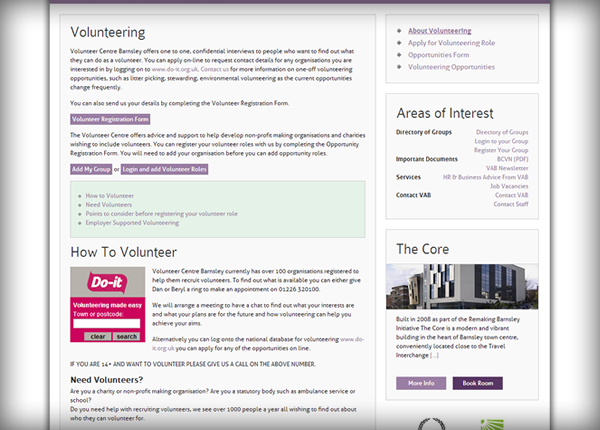 The CMS isn’t just there to allow staff members to update their website, but it must also provide them with a way to manage all the volunteering groups, people and organisations. The system also need to let different user levels acquire specifically selected information for offline mailing lists and newsletters. 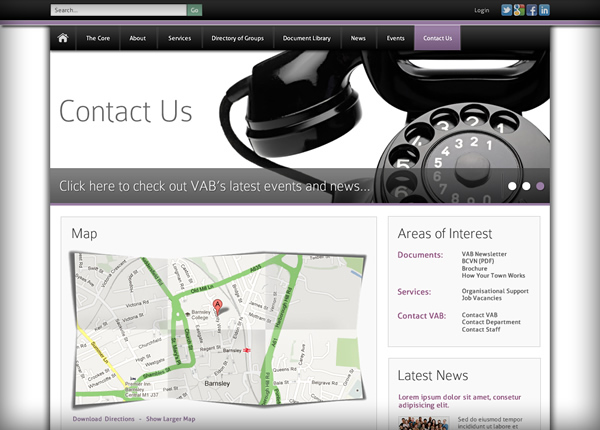 As VAB already had existing literature, the design process needed to work around what had already been produced as well as their logo and colour scheme. 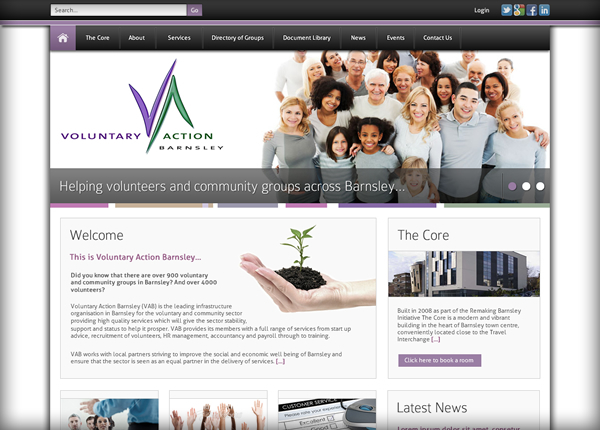 Following the digital inclusion directive issued by the government, Voluntary Action Barnsley asked us to re-design their website to allow organisations to publish volunteer opportunities online as well as allowing local residents to volunteer too.